Ships today if you order in the next 9 hours 16 minutes. One of the most important vitamins in the human body is vitamin C, as it helps support and maintain optimal immune system health and wellness, and provides a number of other benefits as well. While vitamin C can be gotten from citrus fruits, it's also available in supplement form for everyday use. 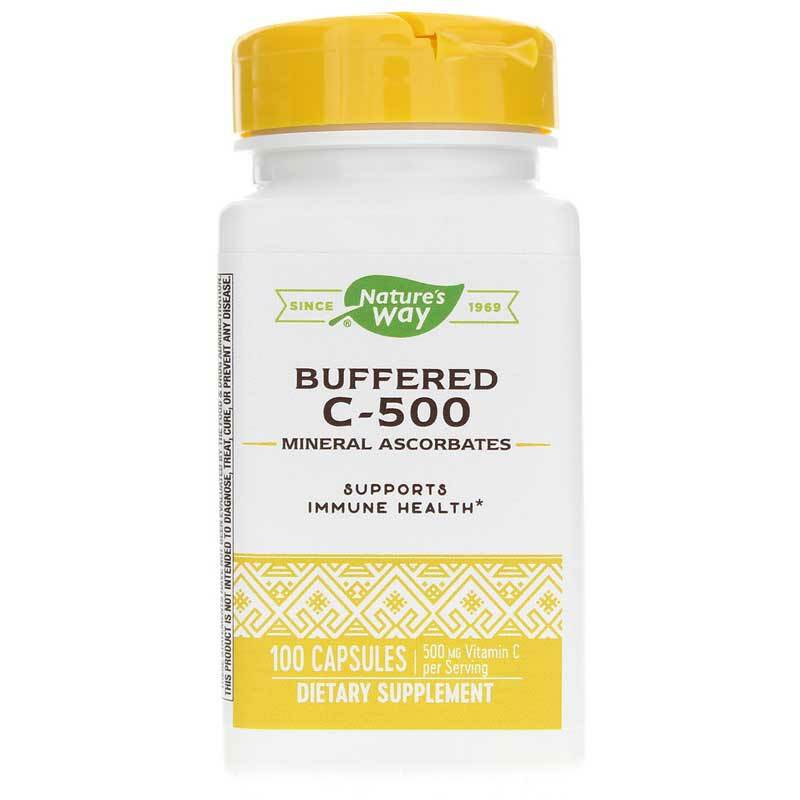 Buffered C-500 from Nature's Way is a dietary supplement that provides a buffered form of vitamin C that supports optimal immune and overall health without the stomach discomfort. This product is manufactured without the use of lactose/milk, preservatives, soy, sugar, wheat, and yeast, and is gentle on your stomach. Just one capsule once or twice every day may help boost your immunity and overall health. Contains NO: yeast, milk, lactose, wheat, sugar, soy or preservatives. Adults: Take 1 capsule one to two times daily, preferably with food.